I have openly confessed that baking is not my favorite thing to do. It's not that I am bad at it, it's just so very technical. I am definitely from the "a pinch of this, a dash of that" breed. That's why when I DO bake it needs to be something easy and fool-proof. One thing that I have always had a knack for in the world of confection is a brownie. My mom taught me many years ago that the trick to the perfect brownie is to pull it out of the oven just before the center is done. It will continue cooking while it cools and the end result is the chewy, gooey brownies we all love. The thing is...she taught me from a boxed mix. So when I started getting serious about cooking from scratch I knew I had to get a good brownie recipe in my back pocket. After a little trial and error, I think I have finally perfected it and I can't wait to share it with you! Since we are baking the first thing you will need to do is preheat the oven to 350 degrees. Then, in a large mixing bowl, combine the flour, sugar, cocoa, and baking powder. I actually like to put my dry items through a sieve. This helps to ensure you will have a nice smooth batter with no lumps. To the dry items add 1 tbsp of instant coffee. 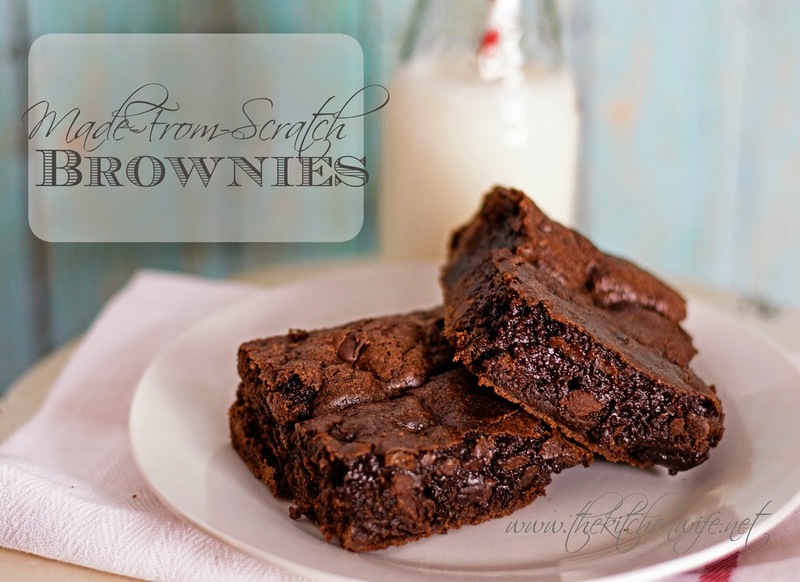 This is not necessary, but it will DEFINITELY enhance the flavor of your brownie and really make the chocolate shine! Once you have all the elements to your batter added, gently stir it all together with a rubber spatula. You don't want to use a mixer here because if you over mix the batter you will have tough brownies. Now pour the batter into a greased baking dish. I am using a 9x9 one here. It is a very thick batter so you may need to spread it out with your spatula. Place it in the preheated oven and bake for 30 minutes. The edges will be fully done and the center just slightly gooey. Remember, it will continue to cook as it cools. Let the brownie cool for 10-30 minutes. 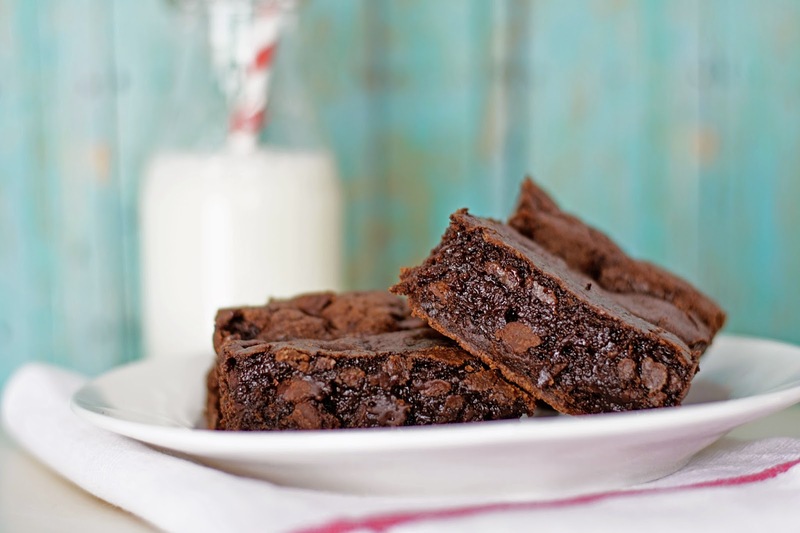 Perfectly moist and chewy brownies that you made, from scratch, all by yourself! These are sure to impress ANYONE, so head on into your kitchen and give them a try tonight!